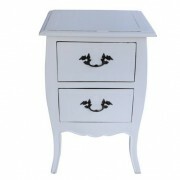 An elegant 2 drawer chest hand crafted from Solid Mahogany. 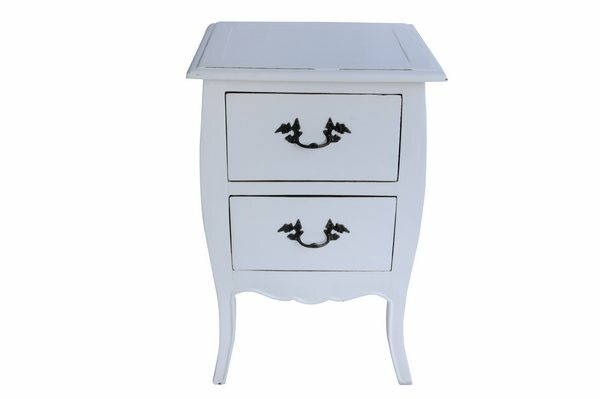 A design inspired by Classic French Period design. 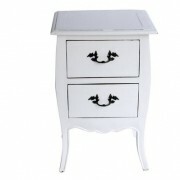 Contemporary white painted finish with light distressing of the wood for an authentic aged appearance. 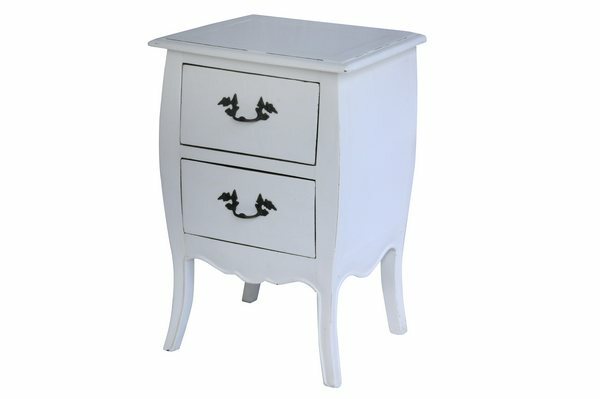 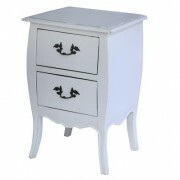 SKU: PAS-002-WH Categories: Aladdin's Cave, Bedsides, Chest of Drawers, Clearance. 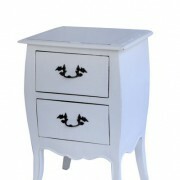 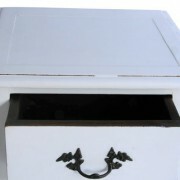 This elegant 2 drawer chest has been hand crafted from Solid Mahogany. 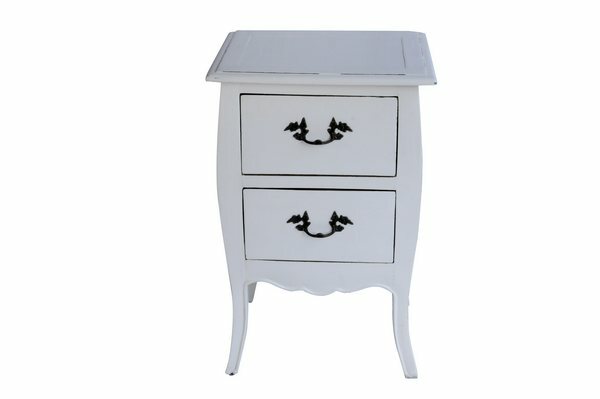 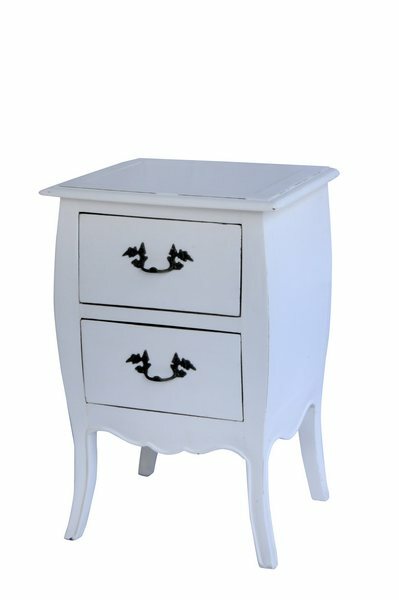 The style of this piece takes its influence from Classic French period design, with beautiful curves and shaped leg features. 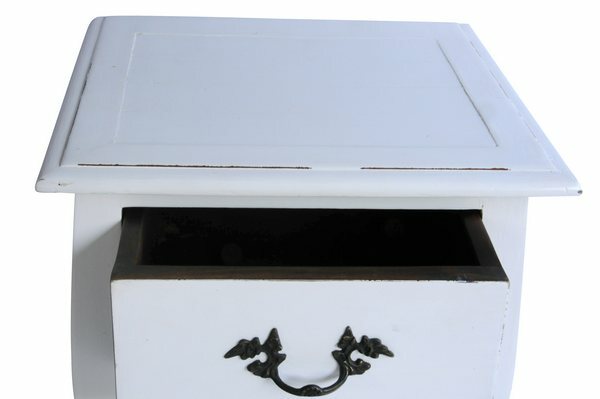 The Pascala Chests are finished in a clean, contemporary white, with light distressing applied by hand to give the piece an authentic aged appearance. 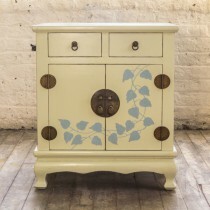 The finishing touch is created by the adding of ornate cast brass drawer knobs, which with their Antique Brass Finish compliment the style of this piece perfectly. 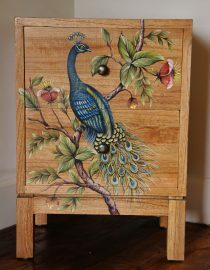 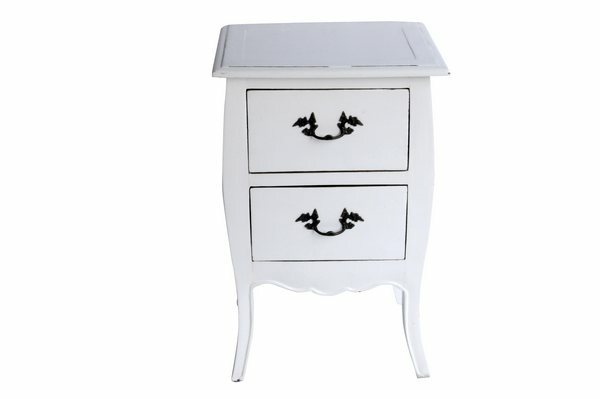 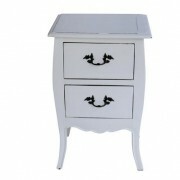 This piece was primarily designed as a Bedside Chest, but would look equally at home in a hall, landing or study.